Longlisted for the 2014 Etisalat Prize for Debut African Fiction Winner of the Commonwealth Short Story Prize "Kintu isa masterpiece, an absolute gem, the great Ugandan novel you didn’t know you were waiting for." 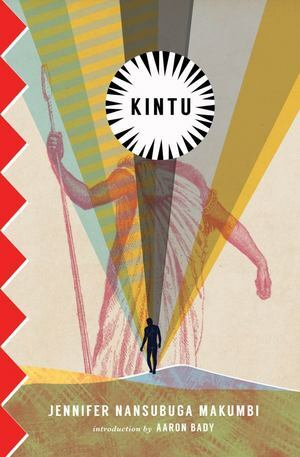 --Aaron Bady,The New Inquiry First published in Kenya in 2014 to critical and popular acclaim,Kintu is a modern classic, a multilayered narrative that reimagines the history of Uganda through the cursed bloodline of the Kintu clan. Divided into six sections, the novel begins in 1750, when Kintu Kidda sets out for the capital to pledge allegiance to the new leader of the Buganda Kingdom. Along the way, he unleashes a curse that will plague his family for generations. In an ambitious tale of a clan and a nation, Makumbi weaves together the stories of Kintu’s descendants as they seek to break from the burden of their shared past and reconcile the inheritance of tradition and the modern world that is their future.